Is your California business in need of new commercial washers, dryers, authentic replacement parts, or are you interested in opening your first laundromat? At Golden State Laundry Systems, our energy-saving commercial laundry equipment is designed to boost laundromat profits and increase the efficiency of in-house laundry operations. By partnering with Golden State Laundry Systems, you could gain access to business financing from our funding partners Laundrylux Funding Services and Eastern funding. LFS has the laundry financing you need — flexible programs, low rates, and laundry industry expertise. If you are starting up a new laundromat or upgrading your current fleet of coin laundry machines, LFS can help you secure the funding you need to grow your business. Whether you are building a new store from scratch, retooling with new equipment, or refinancing existing loans, Eastern Funding can work with you to tailor financing that fits your needs. Watch the video below to hear from a happy Eastern Funding customer. If you want to discuss your options with the financing experts from Laundrylux Funding Services or Eastern Funding, why not attend a Golden State Laundry Systems open house event? We regularly have representatives from both LFS and Eastern Funding at our shows, so why not come along? 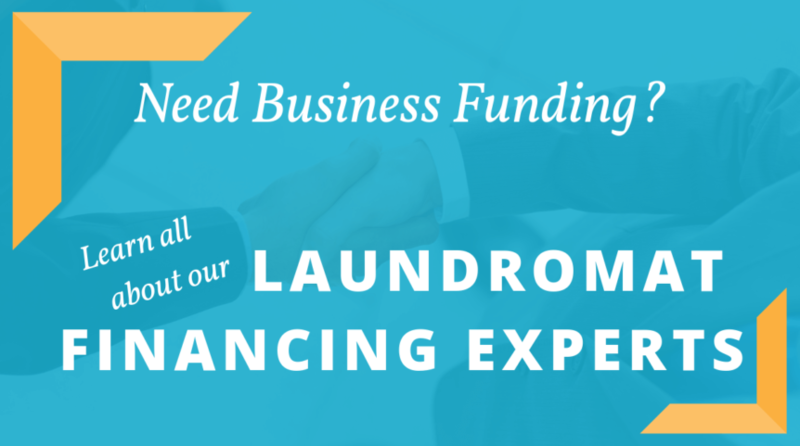 You’ll learn all about the laundromat business and can talk face-to-face with our business funding partners. Learn about our upcoming shows and all of our laundry business services. Contact Golden State Laundry Systems today!